A circus truck carrying five elephants overturned in southeastern Spain. One elephant died and two others were injured. Authorities rescued the surviving elephants with a crane. WARNING: Some images shown below are graphic in nature. 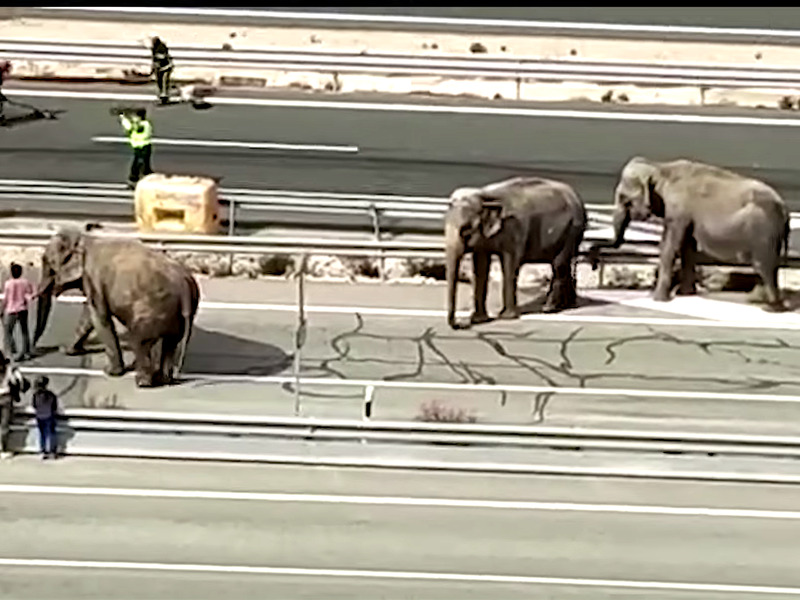 An elephant has died after a circus truck overturned on a motorway in southeastern Spain. The truck, which was carrying five elephants, flipped over on the A30 motorway near the town of Pozo Cañada on Monday afternoon.